Determine the pages you would like on your site. Most service industry related websites include the following pages. Homepage, About Us Page, Services Pages (Summary of the services), Each Service Page, Contact Us page and on some sites a Blog page. Make sure to check with your website designer to determine how many pages are included in the website design package you selected. Determine the message you would like your site to portray to your customers. Begin writing your content page by page. We would recommend using Microsoft word to write the content, so you can use the spellcheck and grammar check features. If your website includes a home page slider “Rotating Images at the top of the homepage” make sure you decide on the theme and write the text content you want on each slide. Example: The 1st slide could have text content that appears and says “Tulsa’s #1 Rated Marriage Counselor”. Underneath that you could have subtext that says “Specializing in Couples Counseling, Marriage Counseling and Pre-Martial Counseling” You would probable want a call to action underneath the subtext like: “Contact Us Now or Schedual Your Appointment”. Your website designer will be able to take the text you provided and create the graphics that fit your message with this info. Most websites include at least 3 slides. Proof read your content. Make sure there are no grammatical or spelling mistakes are present. Your text content on your website is just as important as the look of your website and can have a huge affect on the success of your website and business. 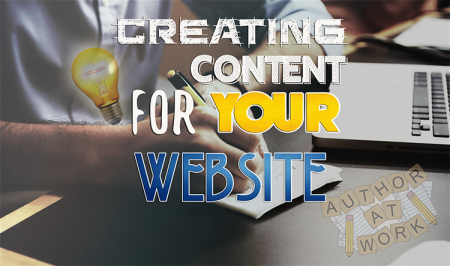 Take your time to write the content for your website and continue to publish blog posts on your website afterwards with fresh new content if possible. Blogging done right on a regular basis will help drive targeted traffic to your website. If you have any questions or need help with a new or existing Tulsa website design project, please feel free to give U-Thrive Marketing a call at 918-812-9374 or click here.